vice versa in a easy and efficient way. which are otherwise not displayed in your phone. These two features helps to free up a lot of storage space. to Internal Storage easily and efficiently. without even opening the app. This again saves a lot of time and effort. 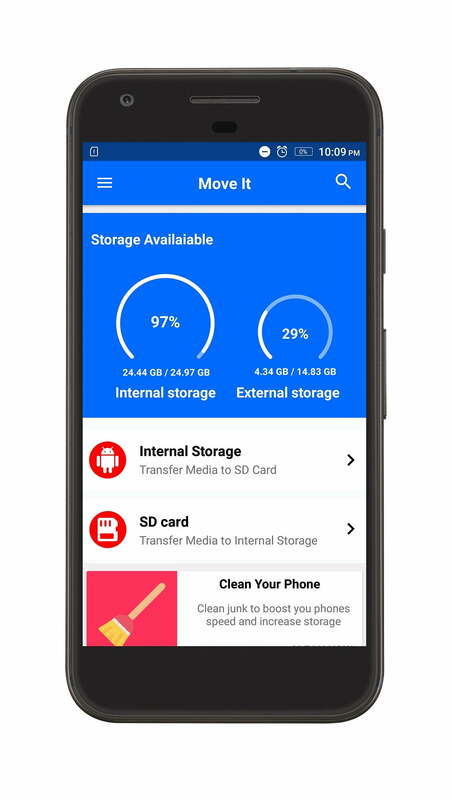 Temp Files and Thumbnails etc which helps you to increase your phone’s Internal Storage Space. find all the hidden Media which are not being displayed weather they are in Internal Storage or SD Card. in internal storage and SD Card without any hassle. and easily Transfer your images, videos and audios to SD Card and vice versa. in which they are present. or audios while selecting them. · New Folder-Create New Folder on the go while transferring your Medias. Sorted Media– Easily find all you Medias as they are sorted out date-wise. 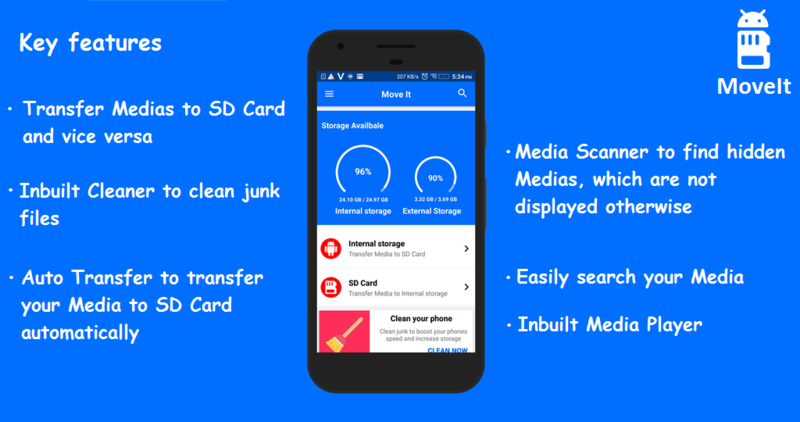 SD Card in a easy and efficient way.It additionally helps to keep your device clean by cleaning up junk files and also helps to find hidden Medias, which are not displayed otherwise. The App’s Size is less 4 MB, so it does not even occupy much space. MoveIt is Free of cost and can be downloaded from Play Store- Download MoveIt.